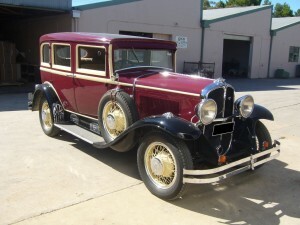 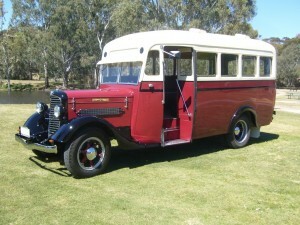 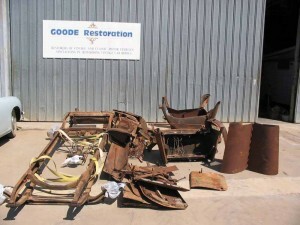 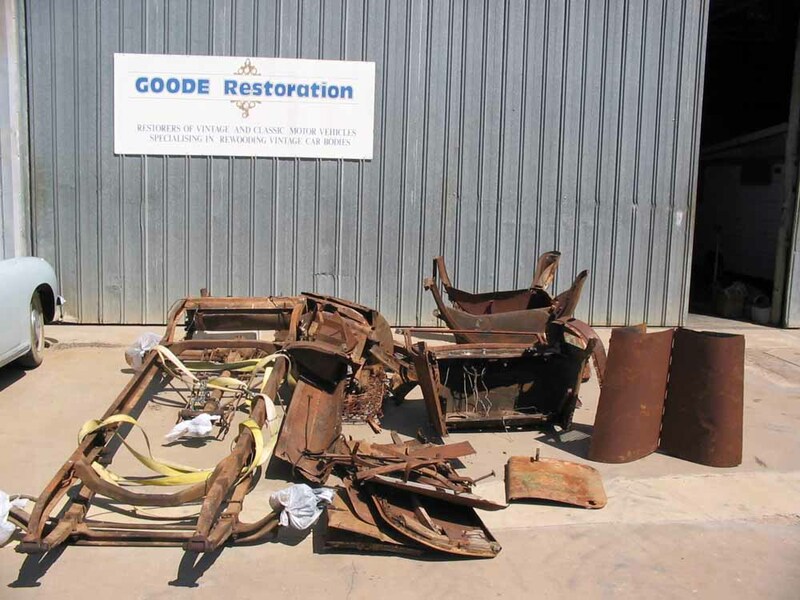 As delivered to Goode Restorations. 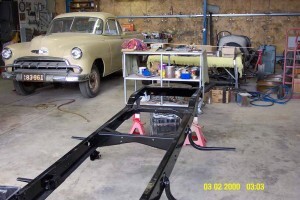 The painted chassis after sand blasting and repair. 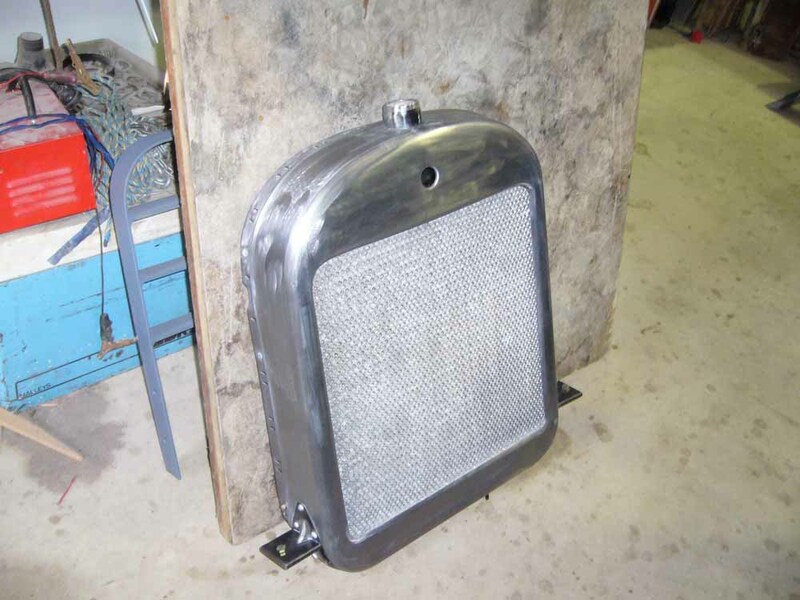 Custom made radiator surround before being chromed. 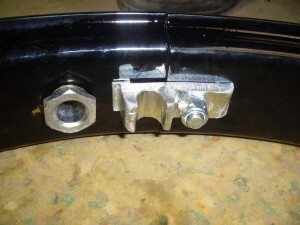 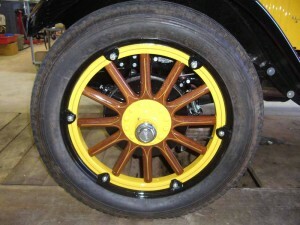 Custom made wheel fasteners by Goode Restorations. 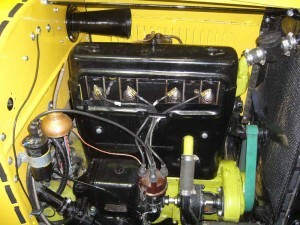 Fully rebuilt engine, assembled and installed into vehicle. 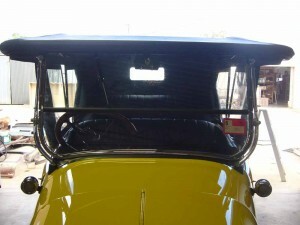 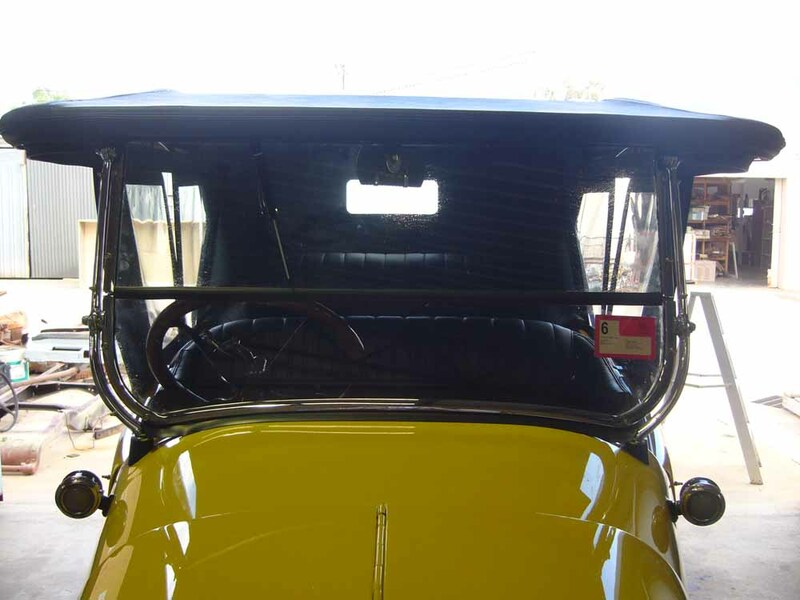 Reconstructed 2 piece windscreen mount and frame. 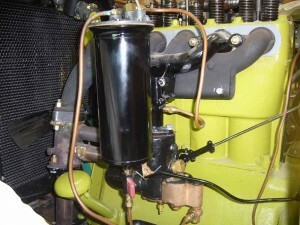 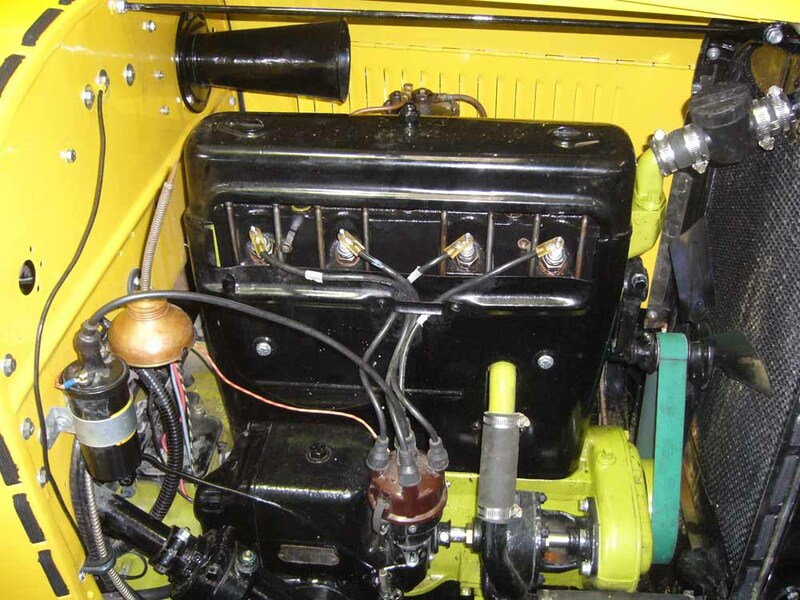 Fully assembled engine with reconditioned starter/generator and custom modified distributor. 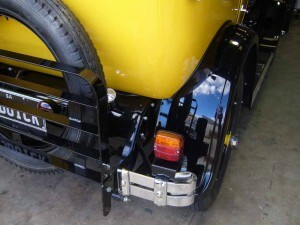 Additional rear lighting to comply with Transport SA regulations. 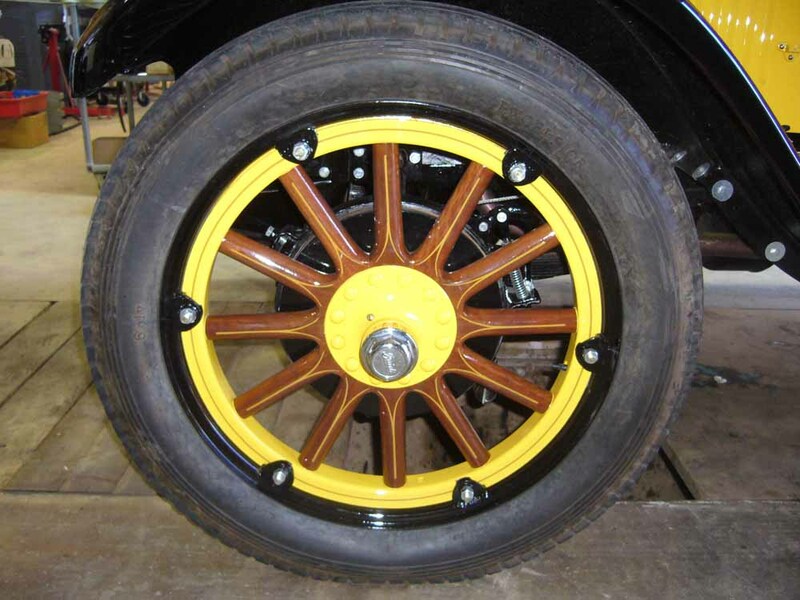 Attention to detail – the pin striped wheel rims. 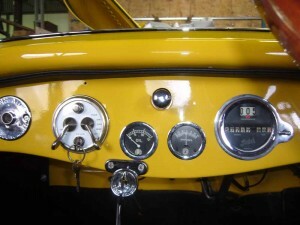 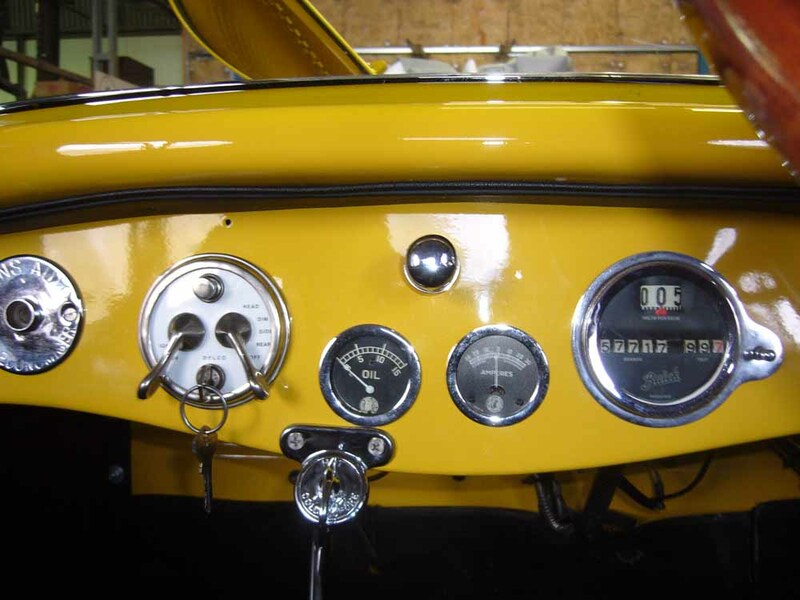 The restored dashboard including original gauges returned to original condition. 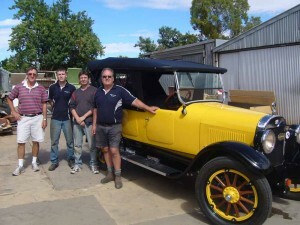 The finished project with the proud owner.